ALIEN REACTION FIGURE PREORDERS CLOSED – TSHIRTS AVAILABLE NOW! Preorders for ALIEN ReAction Figures are now closed. Stay tuned for a MAJOR ANNOUNCEMENT regarding the future of the ReAction Figure line! 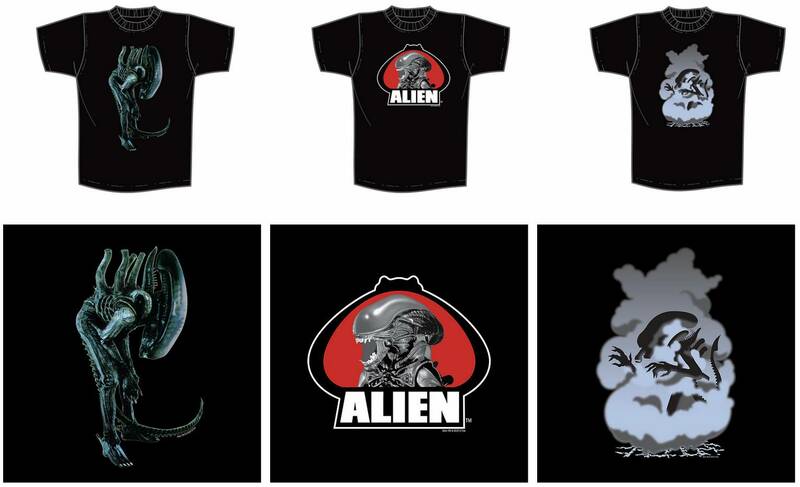 SUPER7 is proud to announce the expansion of our ALIEN product line with a series Designer T-Shirts – now available online! The design of the original Xenomorph costume has gone unsurpassed for over 30 years in the annals of science fiction and horror. This shirt celebrates this iconic creature by reprodcing a striking promotional photograph from 1979. The ALIEN is uniquely posed, hunched over at the waist with his deadly tail curled beneath him. Hand-screened on a black T-Shirt. This is a legendary logo among both ALIEN fans and toy collectors. Originally created in the late 70s to be used on ALIEN merchandise (such as the Large Scale figure, board game, and movie viewer) the logo has been resurrected by Super7 and given the nostalgic spotlight it deserves! You can find it today on the ReAction Figure packages, our “Fast Food” style pint glasses…and now it can be found as part of your wardrobe. Color logo on a black T-Shirt. The only thing more frightening than seeing the ALIEN is what you don’t see. The identifiable shapes of the Xenomorph are formed by the negative space of the steam, while the overall shape of the cloud evokes the silhouette of an opened Facehugger Egg. A Super7 original illustration on a black garment.